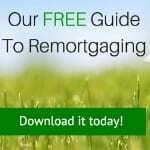 Dorset’s residential and commercial mortgage experts; by your side when it comes to buying and remortgaging. Excellent Service Jill, thank you for all your help the smoothest mortgage application ever. There will be a fee for this advice. The exact amount will depend upon your circumstances but we estimate it will be £295 and will only be payable on completion of the loan. Registered address: 443 Ashley Road, Poole, England, BH14 0AX Registered in England & Wales under number 10985778 .